Firewood Mold - Is Moldy Firewood Dangerous? If you burn firewood chances are you're going to come across firewood mold. In fact, a little bit of mold on a stack or a pile of firewood is pretty common. What causes the mold to grow? Molds are just a natural part of the environment. 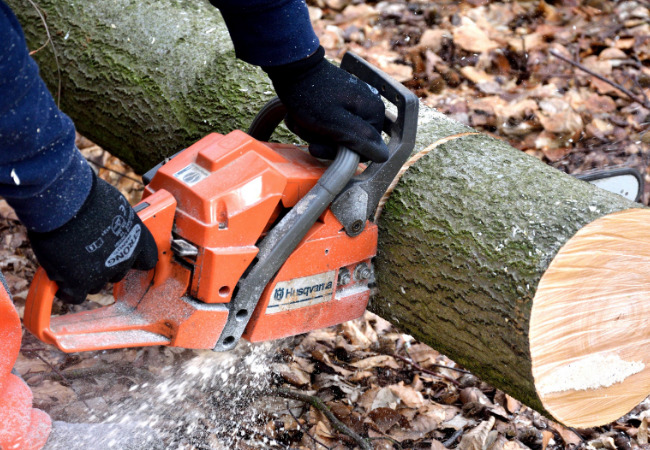 They play an important role in nature by breaking down dead organic matter like logs, twigs and leaves. Mold spores are everywhere but they need a few key ingredients to thrive. Dead organic matter (firewood) and oxygen are needed but the most important factor is moisture. Generally whether we're talking about mold on your firewood or mold in your house, if you control the moisture you will control the mold. Molds do have the potential to create health concerns especially if you're sensitive to them or have other health problems such as asthma. They can cause itchy and irritated eyes, runny nose and even trigger an asthma attack. Pets such as dogs or cats can also be sensitive to mold so it's important to control the issue before it becomes a problem. If you burn firewood it's important to store all firewood outdoors until your ready to use it. This not only keeps the mold spores from entering your home but it also reduces the risk of spiders, ants and other unwanted insects from coming inside as well. The real problem from moldy firewood occurs when you store it in your basement, garage or other areas attached to your home. As the moldy wood sits, the spores become airborne. These airborne spores can cause the health concerns listed above or they can spread to other places of your home if the conditions are right. Basements are notorious for being damp because they're below ground level, they're cool and they usually don't receive a lot of sunlight. Adding wet firewood to these conditions is an open invitation for moldy firewood. Store all firewood outside and keep it sheltered from rain and snow by placing it under a roof or other similar structure. Covering firewood with a tarp will also help keep it dry but it's important not to completely cover the stack. If you completely cover a stack of wood with a tarp it won't allow air to dry the wood and you could be creating a problem with mold, not preventing it. Another great way to prevent mold is by elevating your firewood stack off the ground in a sunny location. Choose an area away from your home that gets a lot of sunshine. Avoid dark shady areas and use pallets or 2x4's as runners to elevate the wood. 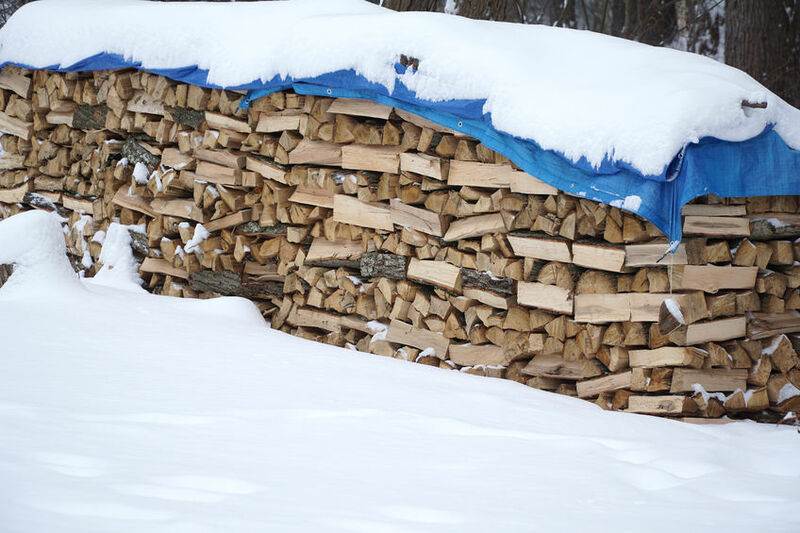 Firewood can actually soak up ground moisture if you allow it to rest on the ground so the pallets or 2x4's eliminate the ground contact and allow the wind to circulate under the stack of firewood. A few years I built this firewood shed which is big enough to hold an entire supply of wood to last throughout the winter. The shed contains a roof that prevents rain and snow from contacting the wood and it also has slatted sides which allows the wind to help dry out the firewood. For a floor I used old pallets that were left over from a construction project. The pallets work great because they're easy to walk on, they elevate the wood off the ground, and the bark and sawdust from the wood just falls through the slots. If you're looking for a more permanent spot to store your firewood I highly recommend building a firewood shed. 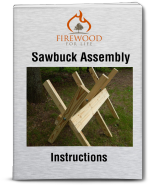 If you build it correctly it takes all the guess work out of storing your firewood. I make sure to cut all my firewood in the early spring when the temperatures are cool, the bugs are not out yet and foliage is low which makes processing the wood a lot easier. Once cut, I split and stack it into the shed where it has the entire summer to season. 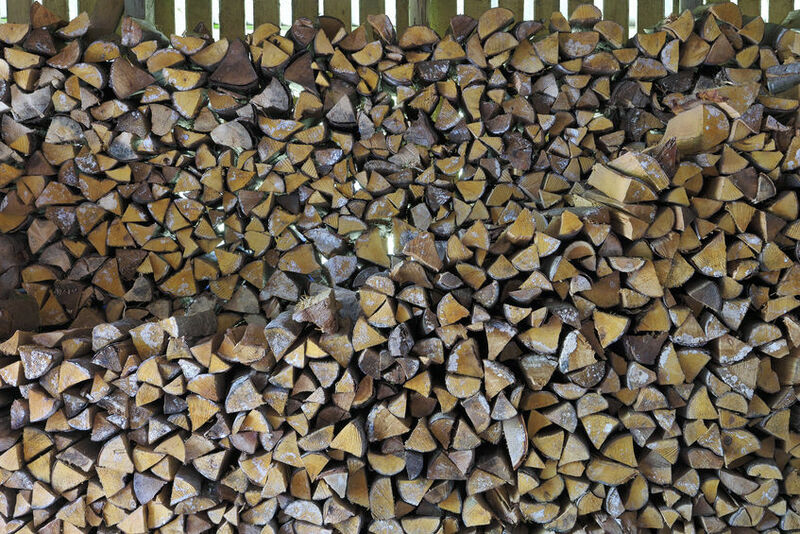 By the time winter comes, the firewood is dry and ready to burn and there is no firewood mold. 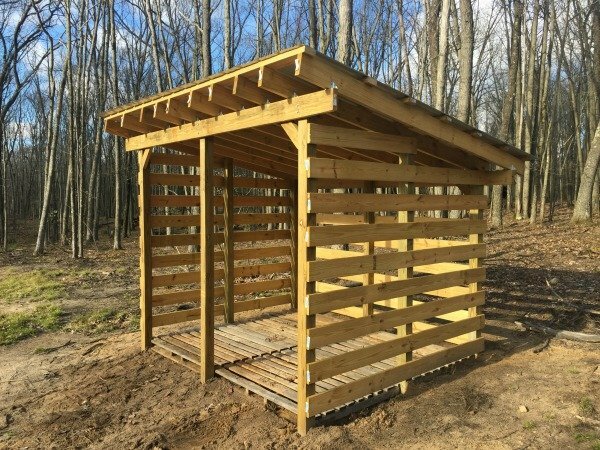 If you're interested in building your own shed, check out these free firewood shed plans that shows step-by-step instructions to building the shed in the photo above. If you have asthma or are sensitive to mold it's best to avoid moldy firewood. You should also avoid using moldy firewood to cook with or for campfires where you're at an increased risk to inhale the smoke. For home heating purposes, taking a piece of firewood with a little bit of mold on it and placing it directly into a wood stove, wood furnace or fireplace is acceptable as long as the wood is dry. Whether or not you should burn or handle moldy firewood ultimately depends on your individual tolerance to mold. Storing firewood inside that contains mold is never recommended. Proper firewood storage in an area that receives adequate sunlight along with covering and elevating your firewood will help reduce, if not eliminate any issues you have with firewood mold.